Always be discrete when you visit the business. This is a really Fantastic Asian restaurant with signature Sushi Rolls as well as the Standard Rolls, with great Sashimi and Entree Dishes prepared by some of the most creative Asian Chefs are like no other as they blend flavors and styles that are truly unique. With 4.5+ Stars on Yelp with over 160 reviews they have become an area favorite in a very short time. The Dining Room is setup for couples as well as larger groups. The custom tables are beautiful and there are booths too for those looking for a more private visit. The Sushi Bar is also an enjoyable experience as you enjoy your meal you can watch the Sushi Chef Masters put the ingredients together to form those delectable rolls. 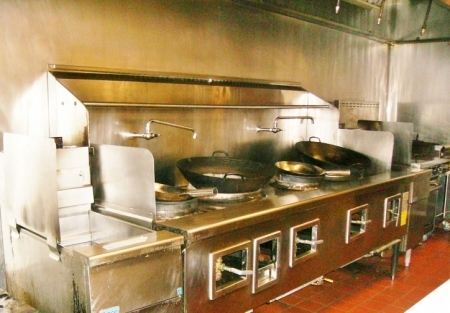 The owner is looking to lighten his work load and is gearing up to retire as he has been in the restaurant business for decades and wants to spend more time with family and friends so he is ready to part with this beautiful restaurant. He owns other restaurants as well. He has truly put together a restaurant that is very comfortable and has a friendly staff that makes the guests feel at home when they come in. Whether its the delicious sushi, an excellently prepared entree or a beautiful salad, this is the place to come to in Thousand Oaks. A new owner will have more time to devote to this business, and just this nurturing will add both sales and profit. The business is closed Sundays and adding this day and working it will certainly lead to more volume. The restaurant has its own parking lot with room for 34 cars plus street parking. The bar has unique cocktails, 9 craft beers on tap (that change frequently) and a great selection of bottled, some of the finest Sake's, and a very nice wine list so everyone will find a drink they like. Owner is reporting sales of $50 - $55K per month and profits averaging $6350 per month for this year, these numbers have not been verified by SellingRestaurants. A working owner can increase sales and bottom line profits.